We discuss our new multi-year rural organizing project with our national network, People’s Action, to counter Trump’s fraudulent right-wing populism and DNR rubber stamping diversion of 7 million gallons of Lake Michigan water for Foxconn. 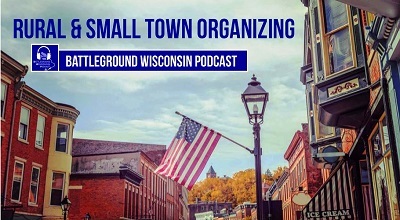 STATEWIDE - We welcome Citizen Action North central WI organizer Joel Lewis to discuss a new multi-year rural organizing project we launched this week with our national network, People’s Action, in 10 states targeting 72 counties. The project aims to counter Trump’s fraudulent right-wing populism with a progressive populist movement built from the bottom up in rural and small towns. We also review Walker’s DNR rubber stamping both the diversion of 7 million gallons of Lake Michigan water for Foxconn and their ability to become a major smog producer in southeastern Wisconsin. We close the show talking about the millions being spent by a few wealthy conservatives to defeat Sen. Tammy Baldwin, including running racist ads in the African-American community.